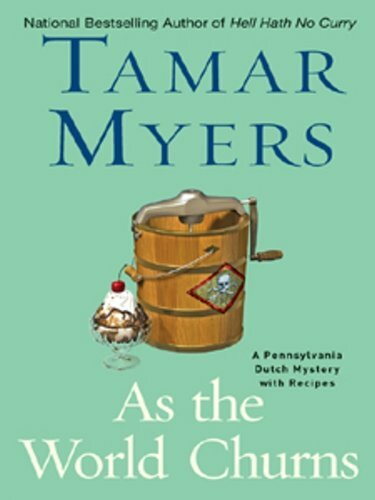 National bestselling author Tamar Myers causes a stampede of trouble! Magdalena Yoder may be finally married to big-time Manhattan doctor Gabriel Rosen, but she’s still a small-town girl at heart, and thrilled to emcee the first annual Hernia Holstein Competition. Until someone clobbers the contest’s originator and both Gabe and his daughter Alison go missing. Now Magdalena vows to track down clues until the cows—and her family—come home. Another crazy, humerous murder mystery with recipes included. On its way to Erishkigal who chose it out of the Suspenseful Summer VBB. If you haven't read any of these before, you might want to read them in order, as events in the life of the main sleuth change over the course of the books. She is one of my favourites and usually has me laughing out loud. oh, dear, I'm afraid I didn't like Magdalena nearly as much as you do. While I did enjoy the many puns, I found M's boundless energy and unbridled perkiness extremely wearing. Exhausting, when I'm starting out already wiped. I will, though, have to keep some of those scrumptious-sounding ice-cream recipes when I pass this on. And hopefully that will be to someone else who loves her as you do, loveamystery! Thanks for coming to the BookCrossing site. I hope you'll leave a journal entry to let us know that this book has been caught. You can do so anonymously or you can join BookCrossing and follow the future travels of the book, even experience the fun of releasing books yourself. Keep the book for as long as you want. If you read it, please make a journal entry letting us know what you thought of it. And when you're ready to let it go, please pass it on to someone else or release it into "the wild" and let us know that it's on the move again.